Speaker Karu Jayasuriya lauded the speech by Qatari Emir Sheikh Tamim bin Hamad Al Thani at the opening of the 140th Assembly of Inter-Parliamentary Union (IPU) in Doha, saying that it highlighted the commitment of the leadership towards solving pressing issues across the world. He said the speech advocated the need to promote dialogue, peace and cooperation among nations and the importance of social justice and education, which are essential in today’s world. “Such commitment by leaders and policymakers of nations is important,” he told The Peninsula, during an interview on the sidelines of the 140th Assembly of the IPU. The Assembly discussed ‘Parliaments as platforms to enhance education for peace, security and the rule of law,’ during the general debate. “The 140th Assembly of the IPU is also discussing very important issues like peace, human rights and democracy. If democracy is threatened, this is a platform the countries can discuss their grievances,” said Speaker Jayasuriya. “The Assembly and related meetings cover almost all important issues concerning different countries and regions,” he said. The topics relevant to 2030 Sustainable Development Goals (SDGs) to address the global challenges including those related to poverty, inequality, climate, environmental degradation, prosperity, and peace and justice are also discussed during the meetings. The goals recognise that ending poverty must go hand-in-hand with strategies that build economic growth and address a range of social needs including education, health, social protection, and job opportunities, while tackling climate change and environmental protection. Speaker Jayasuriya highlighted the importance and relevance of discussing about SDGs. “The discussions about SDGs are really important. Every issue is being addressed during the discussions. The goals are interconnected and it is important that we discuss and address everything in order to achieve the target by 2030,” he said. When asked if any issues discussed during the Assembly and related meetings have direct impact on Sri Lanka, he said that global climate change is something of relevant to his country. “Several countries are already experiencing the effect of global climate change. 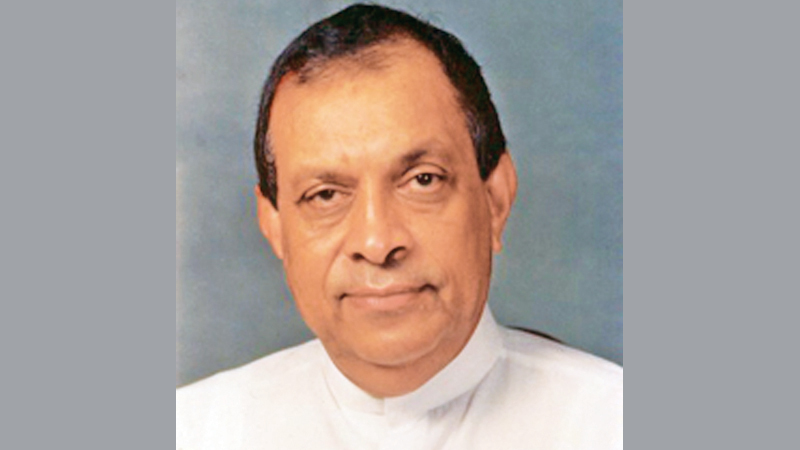 Sri Lanka is also under the threat of negative impacts of the climate change,” Speaker Jayasuriya said.